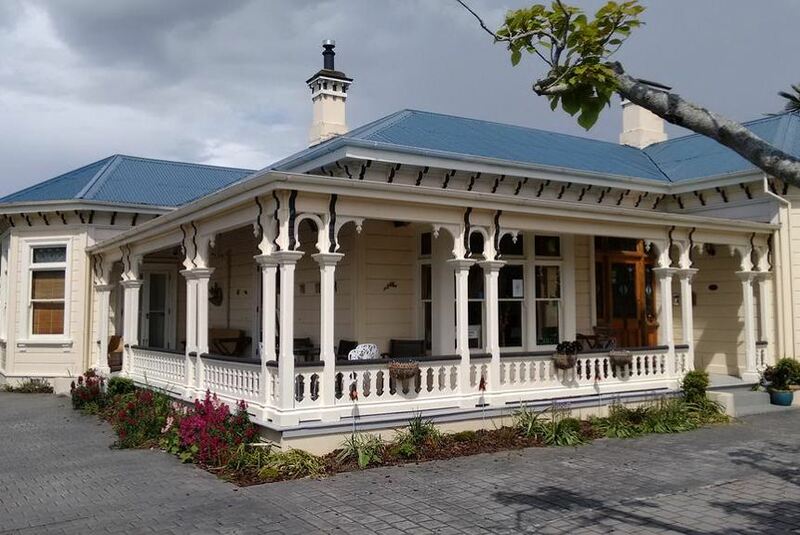 Collingwood Manor is a heritage-listed house built in 1893, a 5-minute walk from Nelson City Centre. The property offers free WiFi and free on-site parking for guests. Manor Collingwood is a 10-minute drive from Tahunanui Beach and a 10-minute walk from Christ Church Cathedral, Nelson. Nelson Airport is a 20-minute drive away. The air-conditioned guest rooms are fitted with a flat-screen HD TV and a DVD player. The en suite bathroom features heated towel rail and free toiletries. Guests can enjoy barbecue in a garden setting. The staff at the tour desk can assist with booking local activities which include fishing, wine tours, kayaking and trips to World of Wearable Art Museum. The property serves a full buffet-style breakfast in the breakfast room which overlooks the garden. The menu includes fresh fruits, yoghurt, cereals and a daily changing hot breakfast option.